At first, I didn’t know what it meant, nor did I know what I was supposed to do. I did, however, believe it was good, sound advice. Initially, I didn’t make progress. Every person, event, circumstance, or problem I had, had nothing to do with me. That’s right. As I inventoried my life and all the bad things that were, or had happened, in every single instance, other people or external circumstances were the cause. I lived with this truth while the pain of life became worse. I decided to stop wasting life. The statement about taking responsibly had value, and I knew it. I acknowledged that to move past my pain and to grow into a more highly evolved person, I had to get ugly with myself. stayed in the relationship, because it was cheaper and easier. didn’t speak up sooner, because I was a coward. had a horrible relationship with my mother, because I refused to accept her limitations. continued to use the credit card knowing I was already deep in debt. alienated friends and family by being opinionated and annoying. ignored letters from the IRS because eating pizza was more fun. I’m not trying to tell all my business, but you get the idea. Blaming, making excuses, and trying to change people was the primary source of my misery. If you’d like relief from yourself, look in the mirror, and get ugly. Own your entire life from the beginning to this moment. The process starts out as shockingly painful, but ends up joyfully liberating. You will remember that change is possible. Then you acknowledge you don’t have to be annoyed by annoying people, or put up with crap, or be totally and completely unhappy. Life gets better after you let your ugly self out. I did this and it worked beautifully. Honesty moved me towards acceptance. After acceptance, I graduated to responsibility, and with responsibility came self-respect: respect for doing the work and for not running from what I learned. Oh, and one more thing: FORGIVENESS. This is tough, because we get used to holding on to familiar, everyday pain. It becomes a part of us, like pride. Forgiveness is the foundation of this exercise. You have to figure out how do to this for yourself. Click this link to find out what I did. Your path won’t be exactly the same as anyone else’s, but taking responsibility will get you there. 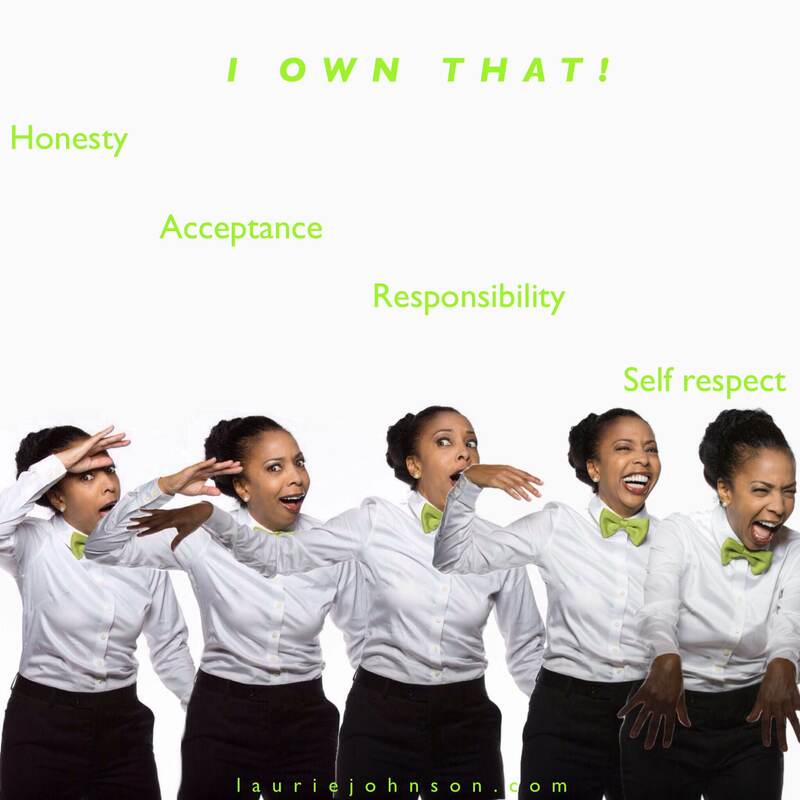 I own that.